There is no doubt that people in most countries in the world have heard of and played Monopoly. Of course, a considerable number of them have made their own versions of the game. Enjoyed by everyone, young and old alike, it is no doubt the most popular board game in history. Since practically everyone knows how to play Monopoly, would it not be interesting to know about origins? 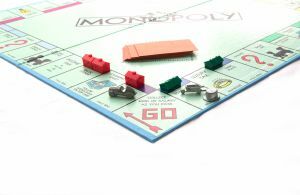 Monopoly, originally called The Landlord’s Game, was invented in 1904 by Elizabeth Magie in Brentwood, Maryland. She devised the game to educate people on the social pitfalls of unequal wealth among people. However this backfired because players turned greedier in amassing money and property, relishing their opponents’ financial troubles. Pennsylvanian Charles Darrow produced the first commercial version of Monopoly in 1934, based on Atlantic City, New Jersey. The game has become more popular as a result of changes in Elizabeth Magie’s original game. Today, players could raise rents by “building” houses and hotels, and “monopolizing” properties – using better strategies. 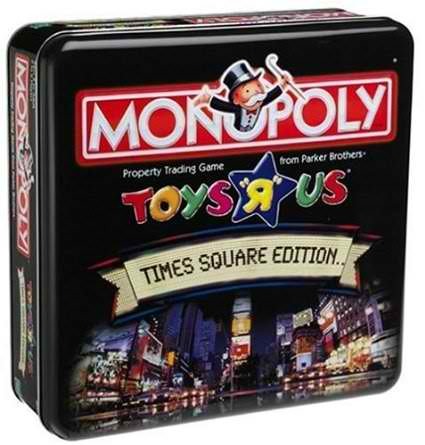 Monopoly has been loved and enjoyed by people from the first players of the game to today’s generation of enthusiasts. It is the most engaging and well known game the world. 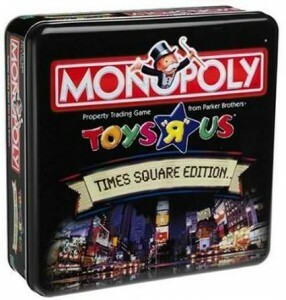 You may purchase this Monopoly Times Square Edition, Here.